I consider myself a modern woman. I live alone and work hard to pay my rent and all of my own bills. I have found that where my true passions lie are in the kitchen and the modern work schedule certainly doesn't allow for days spent there, slow simmering and prepping everything from scratch. While I get to fill my weekends with long, drawn-out preparations and cooking the way I would cook every day if I had time, I wish I could do that more often during the week. I've found one way to bring the feeling of cooking all day to the weeknights, in one of my most treasured Christmas gifts, the book Artisan Bread in Five Minutes a Day. It gives readers a chance to have the pleasure of homemade, prepared-from-scratch bread, while taking into account the limited time most of us have to spend in the kitchen. I know this book is not news to most of those in the food blogging community, but it has been such a delight in my kitchen, that I had to share it here, just in case you have not heard of it or have yet to pick it up. I have barely scratched the surface of this marvelous book and already I am in love. Before getting this book, I had made a number of bread recipes at home and none turned out as well as even the first loaf I made from the master recipe. I have already blown through the first batch of dough and the second one is sitting in my fridge at this very moment. I'm trying to wait as long as I can to let the flavors develop, but the desire to use it all immediately is strong. If you want more information on the book go to Artisan Bread in Five Minutes Day. The authors share great recipes and tips on how to get the most out of the book. I'm not comfortable sharing their master recipe (as it is one of the main points of getting the book), but trust me, you will not be disappointed if you make this purchase. In lieu of the master recipe, I'm posting the pressed sandwiches I made with my first batch of baguettes. 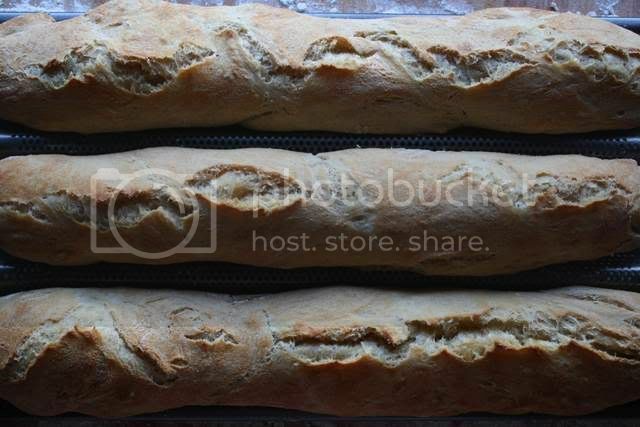 If you're not interested in baking, by all means, pick up a baguette at the grocery store and be done with it, but you'll be missing out on the satisfaction that baking your own bread from scratch can give. If you're not a fan of anchovies, substitute 3/4 cup good quality, Italian tuna packed in olive oil. If you want to use the anchovies, make sure you splurge on the good quality white anchovies found in gourmet food shops or from your deli counter. Do not settle for the over-salted, low-quality product found in tins in your grocery aisle. They are completely different in flavor and you would be better off using tuna instead. Cut the baguette in half lengthwise and scoop out some of the crumb (interior) to make room for all of your fillings. Spread the pesto on the bottom half of the baguette and lay the anchovies on top. Slice the potato thinly and layer across the anchovies. Depending how softly your eggs were boiled, slice or crumble the eggs and yolk and lay them over the sandwich. Cut the bacon slices in half and place them over the eggs. Whisk the lemon juice, red wine vinegar, salt and pepper together in a bowl, then slowly drizzle in the olive oil while whisking to emulsify the dressing. Drizzle the vinaigrette over the sandwich and finish with the arugula leaves. Top your sandwich with the other baguette half and wrap with plastic wrap. Put the baguette on a half sheet pan and place a baking dish over the sandwich. Weight the baking dish with canned food and place the whole thing in the fridge to sit over night. A few hours before eating, remove the baguette from the fridge and let come to room temperature. Cut the baguette in half and serve wrapped in parchment paper. Place first five ingredients in a food processor and puree until creamy. Stir parmesan romano in by hand and serve. mmmm fresh bread is heavenly. Thank you for posting this! I haven't browsed through this book yet, but now its on my to-do list. I love the smell of bread baking. It reminds me of the farm where I grew up. There was always a fresh loaf on the counter. 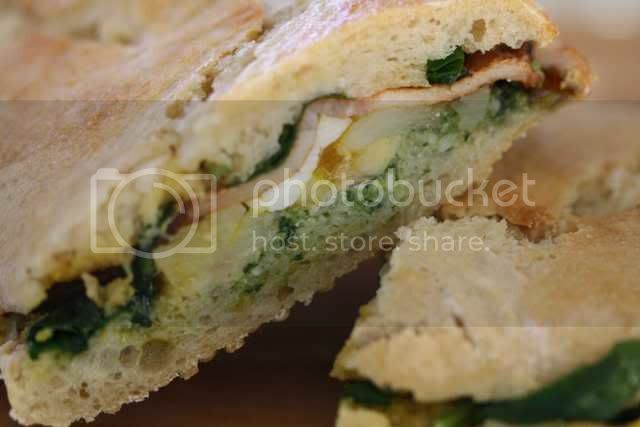 Beautiful pesto, sandwich and bread! Thanks for sharing! Awesome! I love baking bread - like you say, it's so incredibly satsfying. I've been asked why I bother to bake my own bread when I live in Paris, and the response is always the same: because I enjoy it. MUST HAVE THAT BOOK! ;-) Sounds wonderful. Your sandwiches look delicious too. 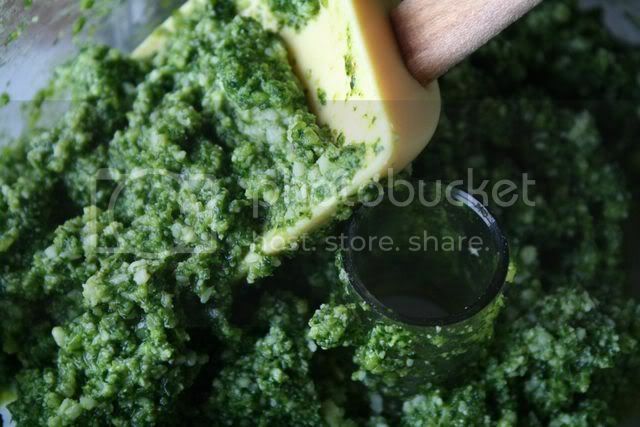 What a good idea to try pesto with arugula. Hadn't heard of this book, but very glad to know about it now. Your loaves look magical. I don't buy alot of cookbooks, perferring the internet, but this seems well worth it. Thanks, Jess. This looks great. I look forward to trying this out. I really need to get my hands on that book. I've been eyeing it for quite some time now, but I think I've been pushed over the edge. Must buy it now! Lord! I'm having another one of those moments especially particular to "Apples and Butter" viewing where I wish I could reach into the screen and taste the goodies. The bread...Oh man! I have a weakness for homemade bread. I do keep hearing about that book... but I've got a breadmaker that's I'm actually quite fond of. 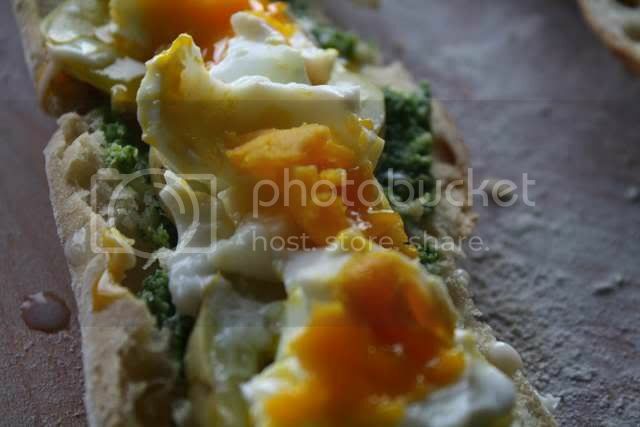 Man, and I thought that bread looks good... but WOW, that picture with those egg yolks gleaming just bowled me over. That sammich is truly amazing! wow - that sandwich looks damn yummy! My mouth is watering! Those sandwiches look gourmet and delicious :)! Oh my, I love homemade bread and I haven't made any for along time- except dinner rolls that is. I thinks it's time to order this book! 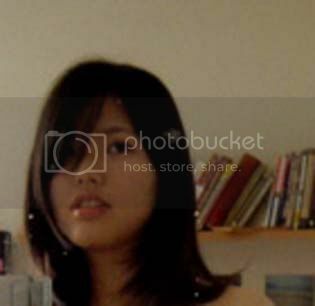 Your pictures are wonderful!I recently started reading your blog and really enjoy it. This sounds fantastic. My favourite sandwich at Witchcraft has anchovies and soft boiled eggs in it.